In this 5 minute masterclass, we’re going create a bass line over a blues in F. Walking bass lines are a fascinating part of jazz, as they support and mark the harmony underneath the chords and melody. 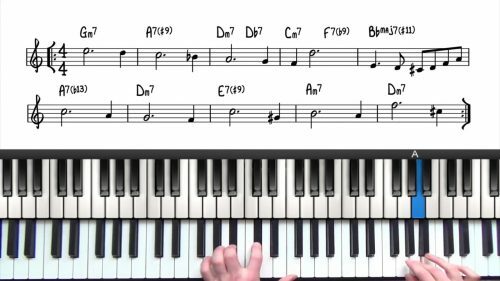 If you are not familiar with these voicings, check out the "Related Lessons" section for detailed tutorials on how to learn and master these useful jazz piano voicings. The bassline we cover is a combination of several bass lines I have transcribed from the bass players mentioned below. 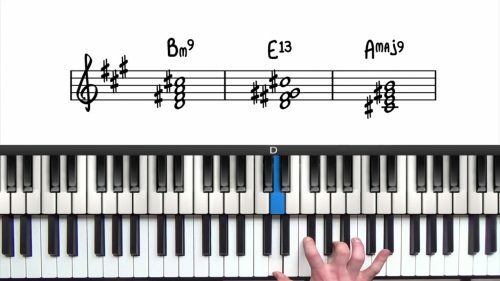 We start with a simple 1-5-1 octave higher and then the 3rd of the chord leading chromatically to the 4 chord – Bb. Continuing with repeating the notes Bb and B which leads us to the 5 of the F chord in the 3rd bar. Then 5, 1 back to 5 and 1 an octave higher, from where we start the with Eb, the 7th of the F7 chord, or 3rd of the Cm7. This kind of line that starts from a note other than the main triad notes 1, 3, or 5. This is something that for Ray Brown used – for example – among others of course. It gives an interesting colour, and creates a good foundation for this bar, which resolves to the 4, Bb. We then start the 5th bar with the notes of a Bb triad, leading to Bdim chord, where we again use the note of the diminished, last note being b natural, which gets us nicely to C, the 5th of the F chord. then 1F 2G 2# G#, chromatic approach note to Aminor7b5. As the next 2 chords Aminor and D7 last only 2 beats each, we’re going to just use A, then tritone for it, leading chromatically to D from above, then D and the 3rd of the chord F#. Last 4 bars we have Gm7 C7 to F, first we play a bass line which is very common. It follows the scale, just adding a chromatic note between 3 and 4. Listen to the great bass players and compose your own bass lines over songs you’re working on. Bass players who’s baselines you must check out are Oscar Pettiford, Ray Brown, Paul Chambers, Ron Carter and Jimmy Garrison, just to name few. 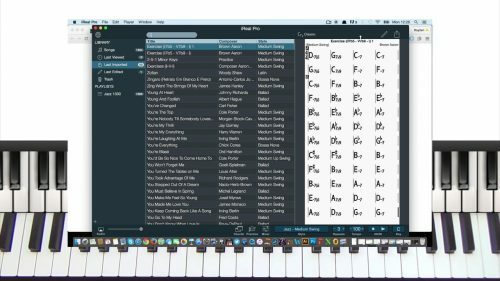 You can use the specific bassline demonstrated for playing solo piano, learning different blues heads, and for practising improvised solos.